With her trademark style, wit, sensitivity, and spontaneity, Maira Kalman guides a whirlwind tour of American democracy. 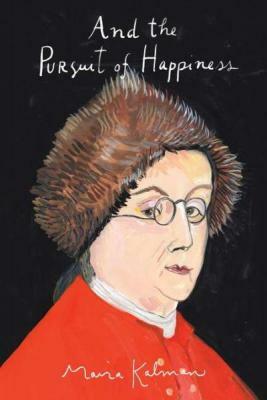 And the Pursuit of Happiness is beloved artist and author Maira Kalman's yearlong investigation of democracy and how it works. Energized and inspired by the 2008 elections, on inauguration day Kalman traveled to Washington, D.C., launching a national tour that would take her from a town hall meeting in Newfane, Vermont, to the inner chambers of the Supreme Court. Kalman finds evidence of democracy at work all around us. And the cast of characters we meet along the way is rousing good company, featuring visits from Benjamin Franklin, Eleanor Roosevelt, and many others. And the Pursuit of Happiness is a remarkable tribute to our history and a powerful reminder of the potential our future holds, from a true national treasure.